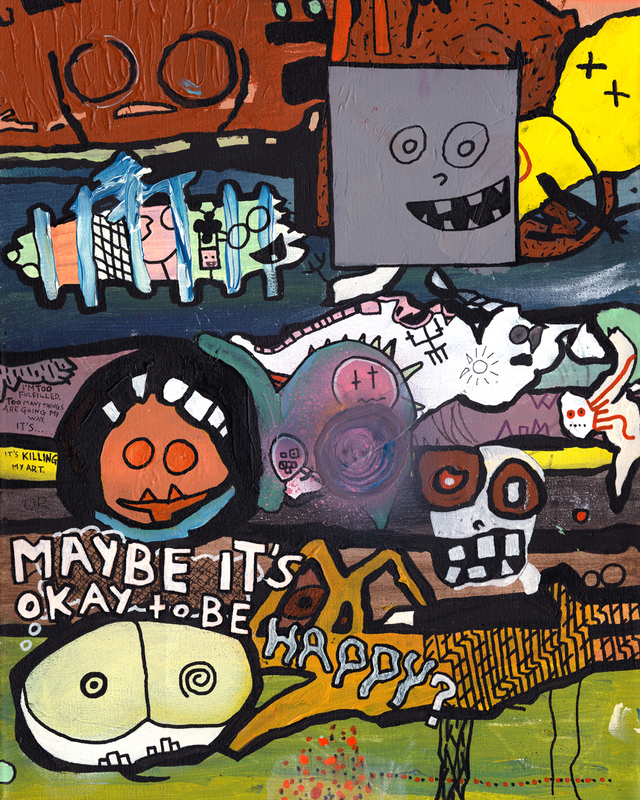 “Maybe It’s Okay to Be Happy.” 2/27/14. Acrylic paint and ink. 16×20″. Read the story of the piece in my blog entry for 2/28/14.